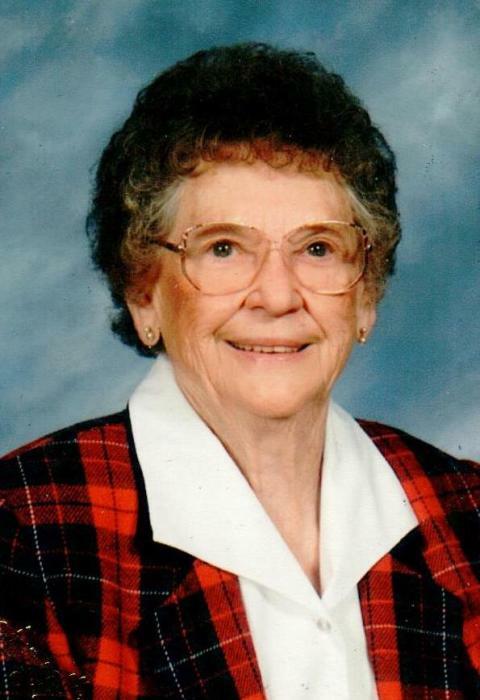 Anna Margaret Boulds, age 96, lifelong and oldest Ridgway resident, passed on this life, Tuesday, April 02, 2019 in the Eldorado Nursing and Rehab Center. Margaret as most knew her was born in Ridgway on August 20, 1922 to the late William and Julia (Keane) Zuck. She was married to Ed Boulds on February 2, 1948. Ed preceded her in death in 2002. Margaret was devoted member of the St. Kateri Catholic Church in Ridgway and a member of the Altar Society. She was always a hard worker, riding the train to Evansville during World War II working at American Republic building P-37 planes then coming home and helping families with their children, in later years she worked at Blevins Popcorn in Ridgway retiring after 25 years. She was devoted also to the St. Joseph Cemetery also, spending many years on Memorial Day sitting at the cemetery accepting donations. She loved to visit with her friends and family and always had kind word and smile for you. She had a wonderful soul and will be missed. Margaret is survived by her daughter, Barbara DeVous of Ridgway, a brother, John (Dorothy) Zuck of Joliet, 4 grandchildren, Leslie (Tom) Stanford, Dana, Jason and Jared Boulds. Great Grandchildren, Zac and Nic, Jaime, Cassidy and Caleb and 1 great great grandchild, Elliott. She was preceded in death by her son Jim and his wife, Lynn Boulds, a son in law, Fred DeVous and a sister, Mary Stallings. Visitation for Margaret will be on Friday, April 5, 2019 from 4:00 PM to 7:00 PM at the Cox & Son Funeral Home in Ridgway where a Prayer service will be held at 4:00 PM. Her funeral mass will be on Saturday, April 6, 2019 at the St. Kateri Catholic Church in Ridgway at 12 Noon. She will be laid to rest in the St. Joseph Cemetery in Ridgway immediately following. Fr. Steven Beatty will celebrate mass. Memorial contributions can be made in her memory to the St. Joseph Cemetery or Hospice of Southern Illinois and envelopes will be available at the funeral home.